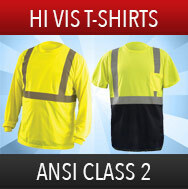 You are going to enjoy the variety of discounted ANSI Class 3 T-Shirts from top brand manufactures that are available. You can rest assured by wearing these reflective Tee Shirts you will be seen on the job and meet or exceed safety standards. Many styles and features like yellow, green, orange, pockets, reflective material and moisture wicking to choose from. 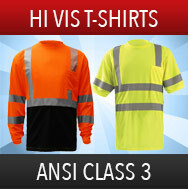 Not sure if you need a Class 3 Hi Vis T-Shirt? 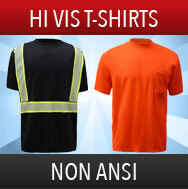 Choose from other high visibility safety shirts that meet other safety requirements like Class 2 Hi Vis T-Shirts or Non ANSI Enhanced Visibility Shirts. Some jobs require long sleeve safety shirts or short sleeve t-shirts with reflective material. 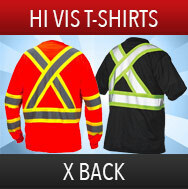 View our large selection of Safety Shirts at low prices.